There are no wrong or right combinations when layering fragrances. 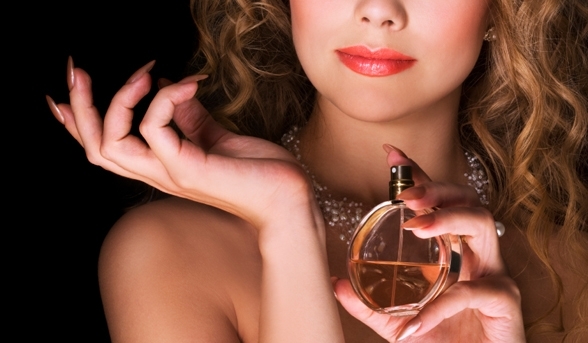 At the end, the final scent created by you, should appeal to your sense and persona, say experts. Abdulla Ajmal, Consulting Perfumer at Ajmal Perfumes, India and Umashan Naidoo, Studio West Buying Head, list some tips to keep in mind while layering scents. * Layering scents or mixing scents, doesn’t necessarily mean applying two or multiple perfumes on top of each other immediately. Layering starts as soon as you apply a scented shower gel or a soap. Then comes your body lotion and finally the perfume. So, if you are already following this routine, you are on your way to master the art of layering scents. * When it comes to layering scents, the thumb rule is that heavier scents should be sprayed first so they don’t overpower their lighter counterparts. Wear the heavier scent first, let it settle on you and then apply the lighter scent. Woody fragrances are heavy. Avoid mixing two scents which are heavy. Choose one or more lighter fragrances to mix, such that your final scent isn’t very intense. * To create a bespoke single base perfume, you should stick to perfumes from similar fragrance families such as floral, woody, citrus, oriental etc. Understand the perfume families– the scent is floral, citrusy or woody. Once you know this, layer your perfume with similar smelling scents. * If your perfume has a woody aroma or citrussy aroma, you should match it with other products such as shower gel, bathing oil, after shave etc. which have similar scents. This process will help you create a unique fragrance of your own. * If you want to experiment, you should mix different perfumes together and forming your own exclusive scent. Creativity is the most crucial aspect of layering. Rose, vanilla or freesia are the easiest notes which can be mixed with any base. If you want to create a strong bespoke perfume, mix a heavy woody perfume with a light vanilla-based perfume for a sun downer with friends or a spray an oriental based perfume and finish it with a rose scent for a date night. * Choosing different notes and mixing fragrances from different families helps in creating new fragrances with contrasts. * There’s a misconception that one can only mix eau de toilettes with eau de toilettes and the likes of it. It is totally fine to mix and match EDTs, EDPs and body sprays. * If you want your fragrance to last longer, dab almond oil on your skin, then layer those fragrances on top of it. * Layering is all about the art of creativity and you can master this easily by experimenting a couple of times. At the end of the day, you are the creator of your perfume and layering should be an extension of your personality.